The 'Doodle 4 Google' is open to students from class 1-10 and the winning doodle will feature on google.co.in for a day on Children’s Day (November 14). 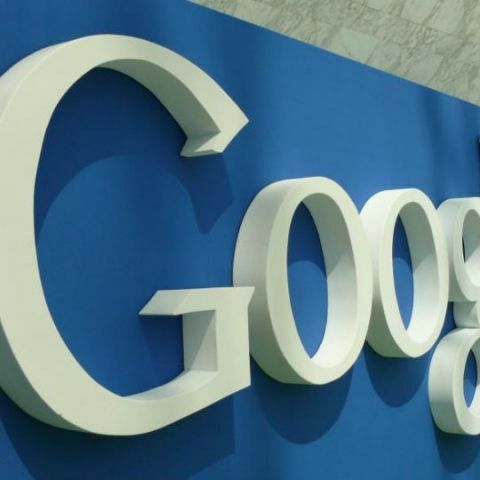 Google has launched the 'Doodle 4 Google' contest in which it invites students to create a doodle of the Google logo. The contest is open to students from class 1-10 and the winning doodle will feature on google.co.in for a day on Children’s Day (November 14). Google today announced the launch of the 2018 Doodle 4 Google contest, inviting creative, art-loving students from across India to bring their imagination to life in a doodle of the Google logo. This year, Google will be asking young kids to answer the question “What inspires you?” as the theme for the contest. The contest is open to students from class 1-10, who will get an opportunity to share their inspiration with millions of people through their artwork. Besides, the winning doodle will get to feature on google.co.in for a day on Children’s Day, i.e., November 14, 2018. Think about: “Does art inspire you? Clouds that look like faces? Trees that look like humans? Paper Planes? Discovering new galaxies? Artists have sought to the world around them for centuries to gain inspiration. Google believes these inspirations power the creativity and imagination in shaping the world and inspiring today’s generation the most. From crayons to clay to water colors, or graphic design, young artists can utilize any materials to bring their creation to life, but like all Google Doodles, each doodle must incorporate the letters G-o-o-g-l-e.
Every year, Google get thousands of brilliant entries from across the country, which makes picking a winner the hardest part of the contest. Google’s esteemed jury members will select twelve finalists to identify the final winning Doodle. A panel of guest judges including actor Arun Iyer (chief creative officer of India’s leading advertising agency Lowe Lintas), Rob (YouTube creator & national icon of creative excellence famous for Mad with Rob), Sejal Kumar (one of India’s leading female YouTube creators) and the original doodle team lead, Ryan Germick will review the entries this year. Submissions close on 6th October 2018 at 10:00PM IST. Internal judging and jury votes will be used to identify the top 20 doodles, which will be put up for public voting from October 23rd to November 5th, 2018, where the entire country will be able to vote for their favourite doodle. Winning doodle will be awarded a five lakh rupee college scholarship, along with many other prizes. So, here’s to all the parents, guardians and teachers: Encourage your kids and students to participate and let them unleash their creative side. For more details, registration, and submission of your Doodle artwork, please follow this link. Please visit ‘How it works’ page on the website for detailed instructions about participation.